Data center density storms may be coming, what do you do? For years Climatologists have predicted increasing changes in weather patterns with challenging storms on the horizon. And now in the midst of a record season of storms, we are learning to heed their warnings. Likewise, computer engineers have predicted increased data center density “storms” for a number of years, but it appears that season is quickly approaching. In data centers, high-density applications are not new. Liquid cooled supercomputers have been around for years. Increasing rack power densities trends, with occasional “hot spots” from blade servers or higher power IT has been noted over the past 20 years. But just in this past year, data center “Climatologists” have been citing that the power density climate may be changing – that new technological advances, and business models incorporating AI and supercomputer requirements, are emerging that will drive increasingly intense, and sporadic, needs for ultra-high data center density racks. And while your risk mitigation strategy should include site selection, power redundancies, and security, does it also include future proofing and being adaptable to what is coming? Below are just two ways to future-proof your data center to ensure that construction and IT infrastructure can adapt and change over time to meet evolving business climate change needs – even in a landscape that changes as rapidly as the weather. By incorporating Building Information Modeling (BIM) into your design and build strategy up front during new construction, data center owners have access to their very own virtual building well before construction and long after the last brick is laid. It may take time upfront, gathering the necessary data to complete the content, but in the end, you’ll be rewarded with a data-rich model that provides a wealth of information regarding estimating, ordering, construction, maintenance and has the stage set for future expansion. The benefit of having a building in the palm of your hand’s long-term is that an owner can simulate future adaptations to the build such as identifying potential clashes before work gets underway. Or locating where new equipment could be placed. When every minute counts, you can’t afford to waste time troubleshooting pipe routing issues in the field. Today’s data centers are hot and getting hotter. In fact, 10KW of IT load produces about the same amount of heat as one barbeque grill. Most data centers operate successfully at loads less than 10KW, using distributed air cooling. However, there are indications that exponential growth of data storage and processing needs for applications like AI, cloud servers and machine learning, will hit some data centers, but it may be difficult to predict which ones as new business applications emerge in traditional business practices. Applications, such as “supercomputing,” benefit from the compact, power dense, IT hardware that uses 40-80KW per rack. These ultra-high heat densities require liquid to efficiently transport heat out of a building. Owners who expect their buildings to survive into the future should consider how to adapt to “hybrid” (liquid and air-based IT) cooling solutions. The ability to adapt and add hybrid cooling solutions may define the successful data center business plan to weather data center density diversity storms in the near future. Planning ahead and making provisions for hybrid cooling solutions and the ability to add liquid distribution does not need to be a complex or costly task. A key to success will be the use of piping solutions that are adaptable, scalable and easy to align. Grooved mechanical pipe joining solutions are the preferred joining method for adaptable and scalable data centers since installations and expansions can be made safely, quickly and without interruption while eliminating environmental, health and fire risks associated with other methods, such as welding. Alignment issues – which can be a huge problem in retrofit pipe solutions – are significantly simplified with advanced technologies in grooved pipe solutions. Take for example one data center hotel who chose to install grooved mechanical solutions in their underfloor piping to bring the liquid to their power dense IT racks as needed. They now tout this approach as a strategic competitive advantage for their customers looking for storage solutions to meet what they anticipate as future needs. Or how about Bitfury. They put their use of grooved mechanical products on prime display in last year’s video of their Tbilisi facility, designed for 3.2KW per square foot (talk about a CAT 5 storm!). It is unlikely that the average data center density would be this high, but it is possible to see some applications that desire that density level. Not all manufacturers of grooved products are the same though. Before making your selection, you want to be sure you’re choosing a mission-critical ready solution that will engineer confidence into your build. With proper planning, there are cooling distribution solutions that are both mission critical-ready and adaptable. Similarly, not all manufacturers supply the data-rich content or tools needed to maximize the value that BIM brings to a project. The data we get out is only as good as what is put into it. So whether you’re keeping flood waters out or keeping vital equipment cool, it’s all about mitigating risk. And while adaptable cooling systems and incorporating BIM into your next project won’t weatherproof your facility, it will certainly go a long way to help future proof it. Next, take a look at the (3) pillars that engineers can use to ensure their next data center’s piping system design is mission critical-ready. How many barbeque grills fit in your data center? 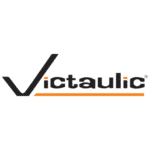 Details and additional information from Victaulic on what constitutes piping solutions for high density data center cooling.